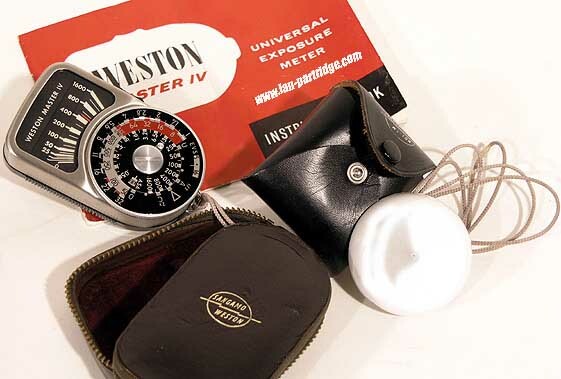 Clean and bright fully overhauled Weston Master IV Light Meter - the essential camera accessory for determining exposure of your photographs. 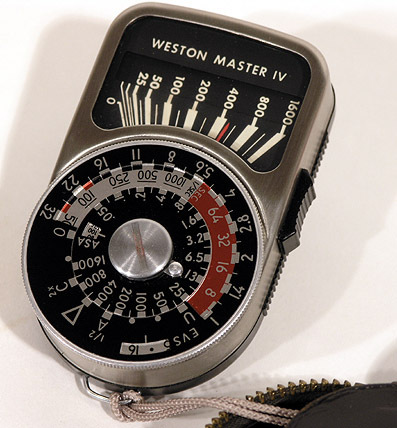 Because of its simplicity and reliablity, the Weston Master Light Meter became a dependable practical aid to determining correct exposure with professional and amateur photographers. 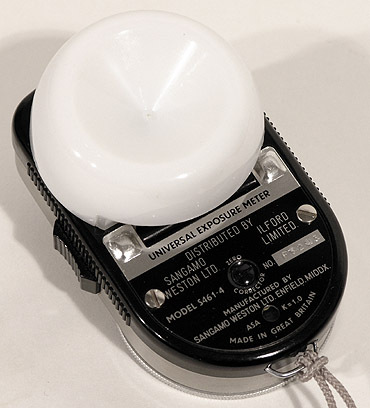 This classic light meter operates without batteries. 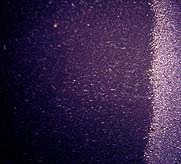 It has a selenium light sensitive cell. 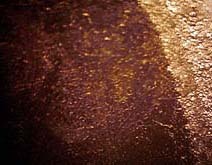 When exposed to light, the cell generates a small electric current that deflects the needle of an ammeter coil within a stong magnetic field. 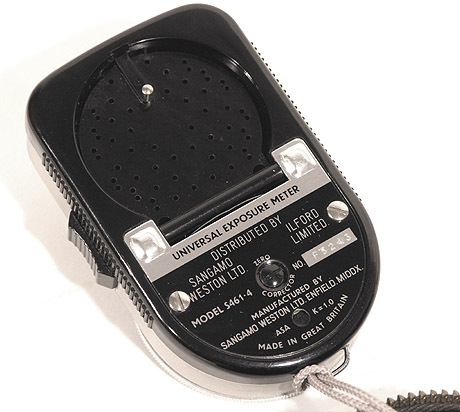 The lightmeter is entirely dependent on the light sensitivity of the selenium cell for accuracy. Over the course of years, the selenium photovoltaic cell will age, tire, and degrade. Such old meters have lost their normal sensitivity requiring ever stronger sources of light to deflect the needle. The defective selenium photovoltaic cell must be replaced with a new one for true sensitivity and accuracy to be restored to the meter. 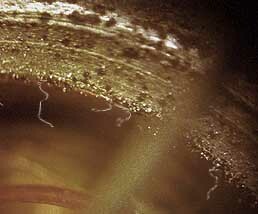 (10 times magnification showing ameter coil with metalic dust drawn to the magnetic coil centre of a Weston 'V' meter). www.Ian-Partridge.Com ~ Web page content photography and design ~ Copyright ©2015 ~ 2019 Ian Partridge.